TV actors Kushal Punjabi and Shilpa Agnihotri’s Maiden Company “Dream Catcher” unveils Samaira Tolani ‘s exciting dream project hosted by her. It was a sinful affair with beautiful chocolates all around for seasons and reasons and yes they are about love. 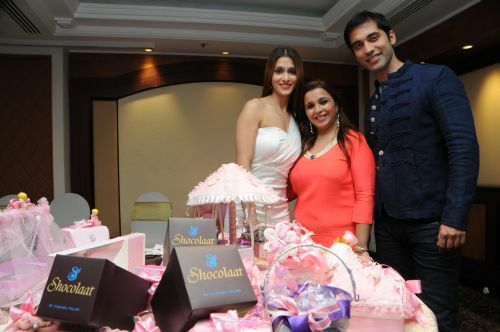 Samaira Tolani, the woman behind this heaven of chocolates named as Shocolaat with all her friends and relatives at the event launched her chocolate boutique – SHOCOLAAT, a place where one can find all types of delicious chocolate. The chocolates were Belgian, creamy and yes different….. This entry was posted in Trending News and tagged TV actors Kushal Punjabi and Shilpa Agnihotri’s Maiden Company "Dream Catcher" unveils Samaira Tolani 's exciting dream project hosted by her..